There has been a bubbling swell of support for the classy, dignified British actor Idris Elba to one day – and possibly one day soon – take over the role of James Bond in a future 007 movie. Today, Elba gets yet another vote of confidence from a distinguished gent who wore the tux (and wore it well): Pierce Brosnan. [Elba] would make a good Bond. 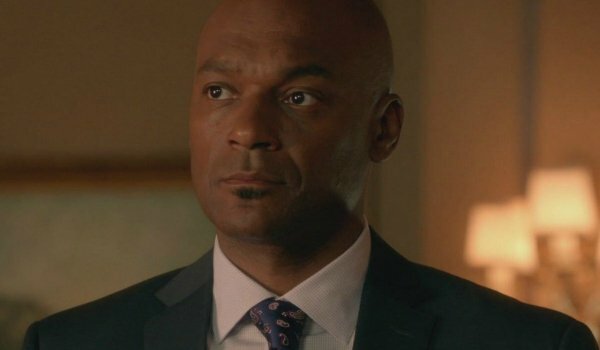 Colin Salmon also. May the best man get the job, and may Daniel (Craig) bring home the bacon for as long as he wants. There you go. Brosnan throws out two potential replacements for the spy with a license to kill should Daniel Craig be looking for an exit clause to his secret agent contract. It’s important to note that Brosnan also added that Craig should be able to play Bond for "as long as he wants." It’d be poor form for a one-time 007 to be lobbying publically for the replacement of the current 007. Instead, it looks like Brosnan got cornered by a question about who would make an excellent new Bond, and the actor gave his opinion. I don’t think anyone’s buying into that line of self-deprecating humor that Elba’s laying out. When he wants to, he can be one of the most handsome men on the planet. And he has proven in movies like Ghost Rider: Spirit of Vengeance, Thor: The Dark World and 28 Weeks Later that he can hold his own when the action gets turnt up. Colin Salmon, meanwhile, is another British bloke who has direct ties back to Bond – specifically, Pierce Brosnan’s 007 movies. The actor played Charles Robinson, the Deputy Chief of Staff at MI6, in Tomorrow Never Dies, The World is Not Enough and Die Another Day. Does this mean he has what it takes? Before we go pulling the trigger on a new Bond, let’s remind ourselves that Daniel Craig currently is hard at work on the next Bond film, Spectre, with Sam Mendes at the helm. It doesn’t look like Craig’s going anywhere for a while, but if he does, producers have options.